Finding a hotel the whole family will like that is affordable can be difficult. It has to have the right accommodations, space, pool, hot tub, beach access, and areas to get the wiggles out. Well in Oahu Hawaii, there is the perfect hotel just for you and the kiddos. 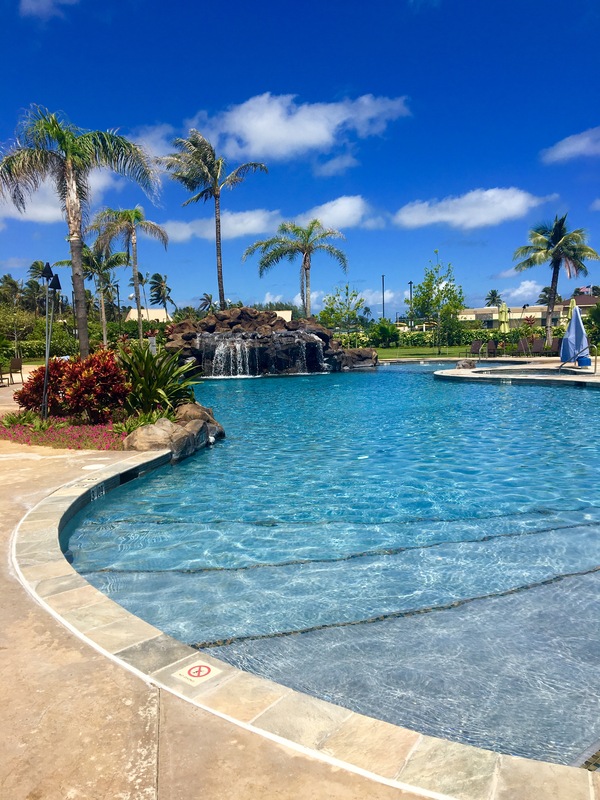 It also shares a parking lot with the Polynesian Cultural Center (it’s seriously exactly 350 feet away) and is just minutes away from many Hawaiian excursions and Brigham Young University Hawaii is only .7 miles away. 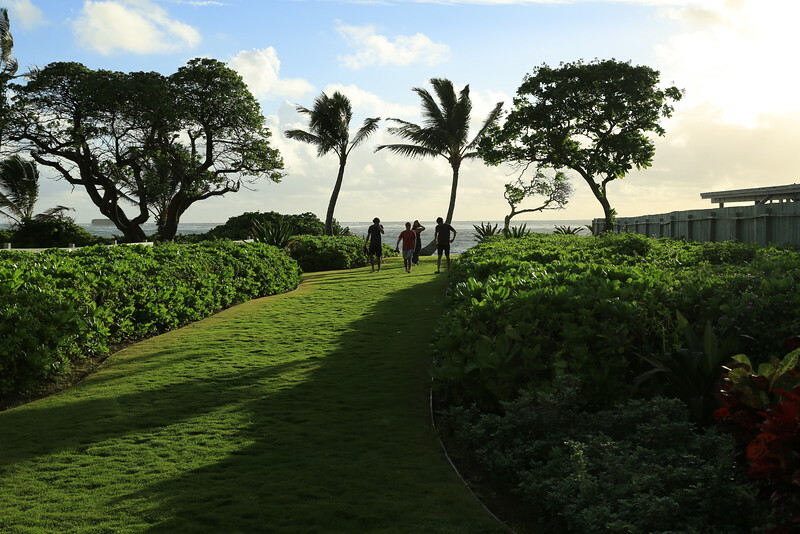 We stayed in the Courtyard Marriott on North Shore Oahu, Hawaii and it was honestly a dream! 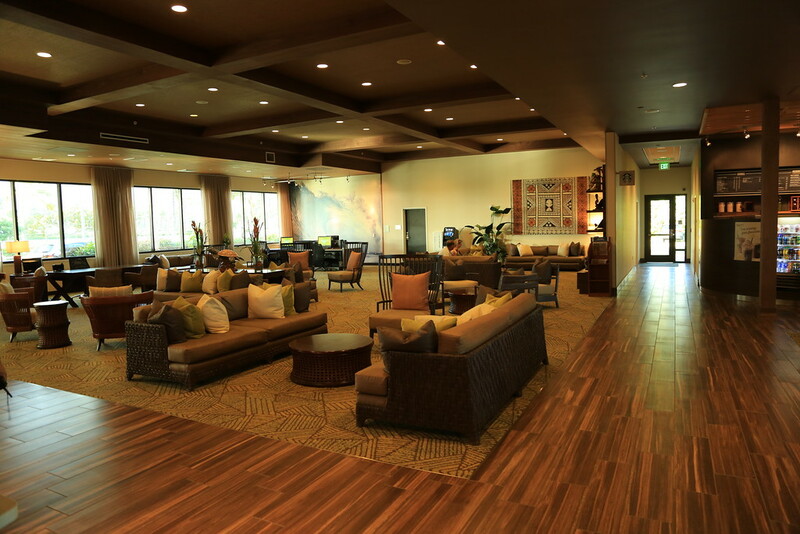 It’s a new hotel with a modern elegance that will make your Hawaiian stay an oasis. The hotel includes free wifi, fitness facility, laundry, restaurant, year-round outdoor pool, and offer a variety of languages to help accommodate everyone. This hotel honestly has it all! And the best part is…. we are giving away a trip! Some of the best memories I have as a kid are from taking vacations with our family. It is such a great way to spend time together and get to know each other, while experiencing new things. It?s always difficult to find kid friendly attractions while on vacation, but finding them while at a tropical location can be a real challenge! 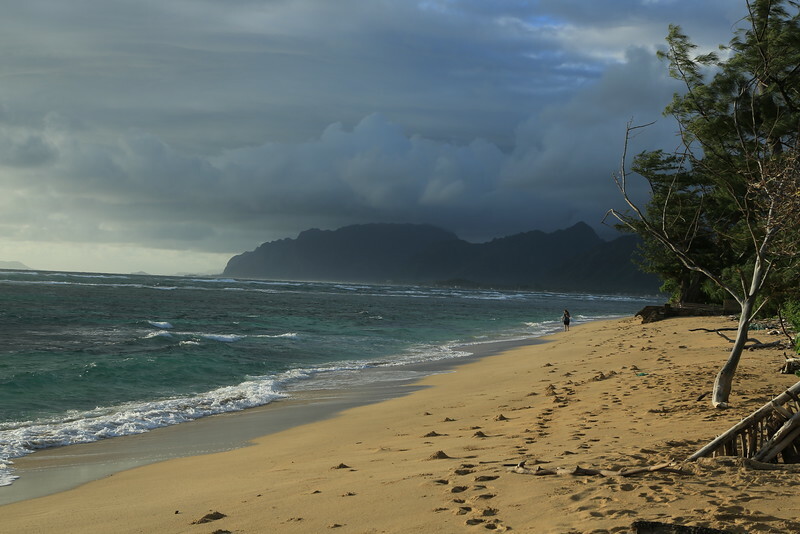 We recently took a trip to Laie, Hawaii and discovered just how kid friendly this attraction is. We think this is definitely a must! In fact, we?ve teamed up with some of our favorite influencers to GIVEAWAY a trip to the PCC for your family! I am in love with every aspect of this hotel. I love how tropical all the plants are, and everything is so lush and green. 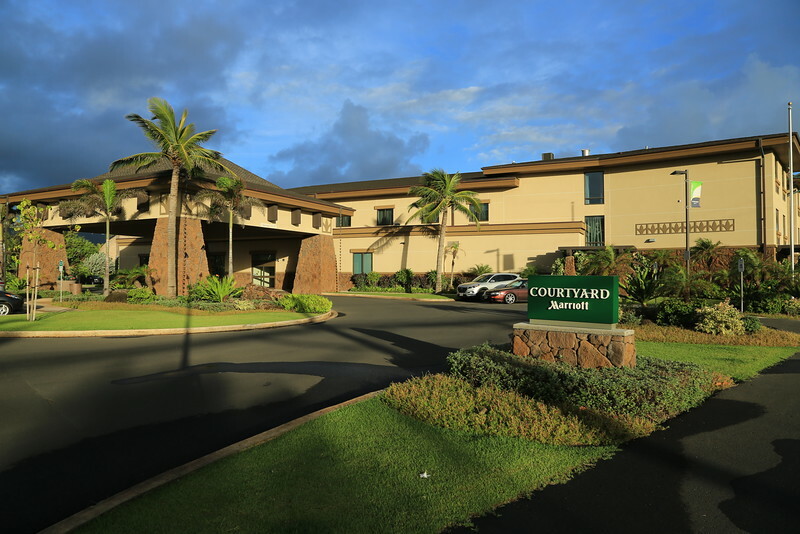 The Courtyard Marriott is only 350 feet away from the Polynesian Cultural Center. This includes a small shopping center and delicious food trucks that are there everyday! 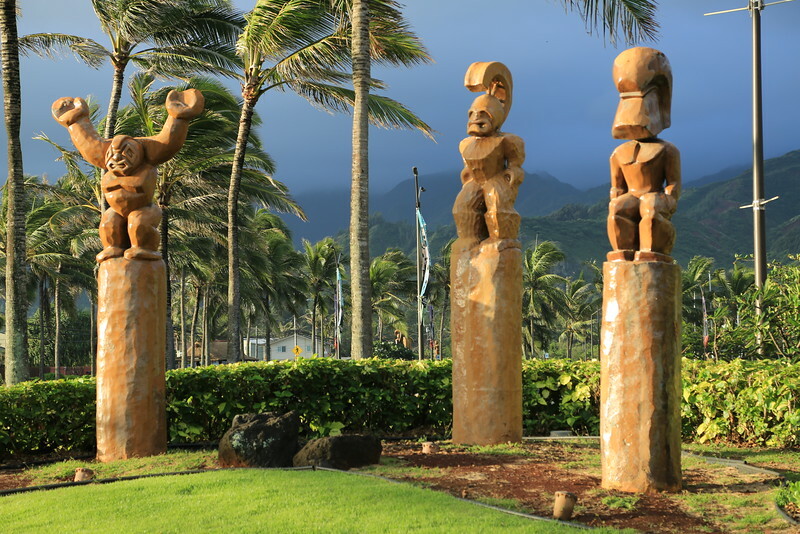 The hotel and Polynesian Cultural Center have a love for the island and the stories it holds. 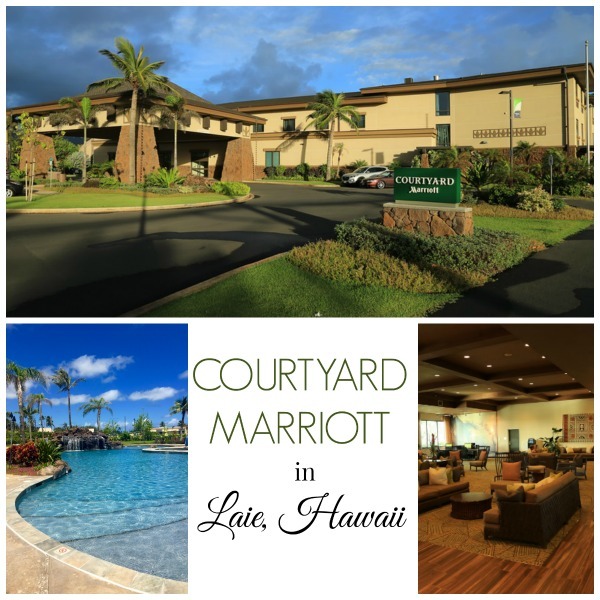 They add to the ambiance of the Hawaiian culture and hotel, making a stay at the Courtyard a memorable one. There is a hotel-owned beach access just across the street from the hotel. It is literally right across the street. The sand is soft, and perfect for sand castles. I love how short of a walk it is because you can go home for lunch, or for a bathroom break. It is honestly the best location! There are also beach rentals and snorkeling gear available just down the beach. All you need is right within walking distance. And for those days you don’t feel like getting sandy, they have the perfect outdoor swimming pool that is open year round. The stunning waterfalls that lead into the pool and hot tub just add to the Hawaiian experience. The tropical plants and grassy area that surround the pool will make it hard to leave. They also serve food to you outside from the family owned restaurant inside. We got to meet the head chef and her food is absolutely amazing. They carry all types of food, but she cooked us her salmon special and I have never had anything quite like it. Just the thought makes my mouth start to water. Another reason why I love this hotel, free wifi. I know it’s vacation, but sometimes you have to work or check emails, and their wifi was very reliable. It was high speed and I was always able to connect without any problems. I loved to come and work in the lobby because it is so spacious and perfectly.